Have you been looking to convert your swimming pool to a salt water pool. 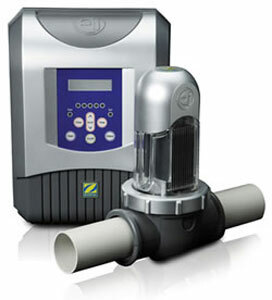 Swim Clear Pool Supply brings you the the world’s first DIY Salt Water Sanitation System: the Jandy® AquaPure® EiTM, a compact, self-contained system. This is by far the easiest salt system to install on the market today. You can follow the installation guide by clicking here. Featuring 120V plug-in convenience, the AquaPure Ei is very simple to install, taking just three easy steps and requiring zero pipe cutting. It is thoroughly backed by Zodiac with direct access to technical support. Salt water sanitizing has never been this easy or affordable.